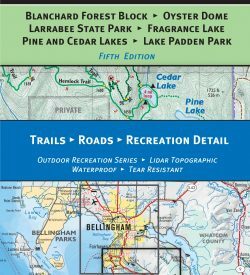 Square One Maps – Square One Maps of Bellingham Washington publishes a full line of recreation maps and offers business map solutions. 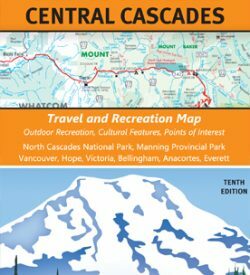 Visit the map store. Available here and local outdoor stores. 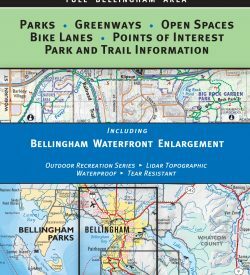 The Bellingham Parks – Full Bellingham Area map features Bellingham Area Parks, Greenways, Open Spaces, Bike Lanes, Points of Interest and Park & Trail Information. 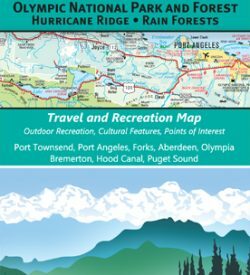 Includes a Bellingham Waterfront enlargement. 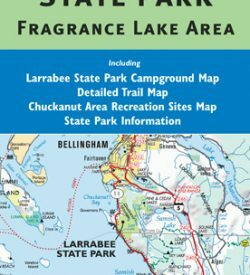 This map is a must have for hiking and biking on Chuckanut Mountain and Blanchard Forest near Bellingham, Washington. All trail information has been ground checked by our GPS field crew. The map scale is 1:21120 (3 inches = approximately one mile). The contour interval is 25 feet. 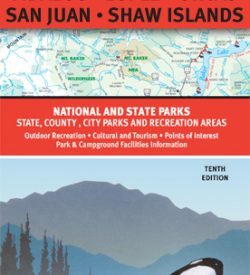 It is printed on waterproof paper for durability on the trail. 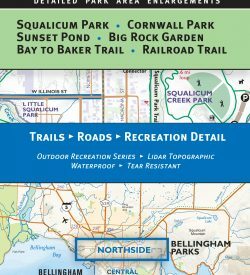 Bellingham Parks Central Map. 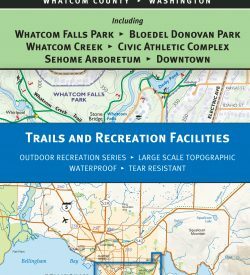 Whatcom County, Whatcom Falls Park, Bloedel Donovan Park, Whatcom Creek, Civic Athletic Complex, Sehome Arboretum and Downtown Bellingham. 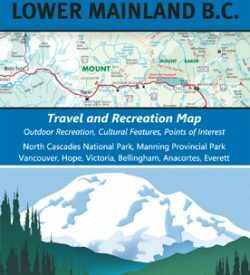 Trails and Recreation Facilities. Outdoor Recreation Series. Large Scale Topographic. Waterproof and Tear Resistant. 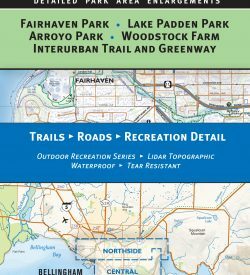 Includes Fairhaven Park, Lake Padden Park, Arroyo Park, Woodstock Farm, Interurban Trail and Greenway. Trails, Roads and Recreation Detail. Outdoor Recreation Series, Lidar Topographic, Waterproof and Tear Resistant. 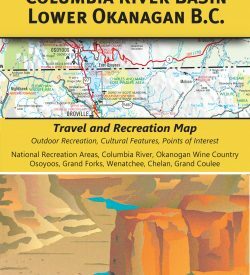 Square One Maps can be purchased at local stores, or here at the Square One Map Store.